Dr. Bruce Piasecki is the president and founder of AHC Group, Inc., a management consulting firm in New York, specializing in energy, materials, and environmental corporate matters, whose clients range from Suncor Energy, Hess, FMC, the Warren Buffet firm Shaw Industries, Toyota and other global companies in his Corporate Affiliates training workshops. Piasecki is the author of several seminal books on business strategy, valuation, and corporate change, including the Nature Society’s book of the year, In Search of Environmental Excellence: Moving Beyond the Blame as well as recent New York Times, USA Today, and Wall Street Journal bestseller Doing More With Less. Since 1981, he has advised companies about the critical areas of corporate governance, energy, environmental strategy, product innovation, and sustainability strategy with his teams of Senior Associates. Ms. Laura Espinach is Reporting Framework Coordinator at the Global Reporting Initiative (GRI) in Amsterdam. At GRI she has been involved in the development of the G4 Guidelines for the last two years, coordinating multi-stakeholder expert Working Groups on supply chain disclosure and anti-corruption, and providing support to other due process related activities for the Guidelines’ development. At GRI, she has also been involved in the development of reporting guidance for many sectors, including mining and metals, oil and gas, and construction and real estate. Prior to GRI, she has also held positions at EIRIS, in the UK, undertaking ESG research analysis for investors, and at Agbar, in Spain, preparing the company’s sustainability report. She speaks fluent English, Spanish and Catalan. Mr. Joris-Johann Lenssen is a Programmes Director at the Academy of Business in Society (ABIS). He holds a diploma from the University of Malburg in Political Science, Sociology and Peace and Conflict Studies. He joined ABIS in 2009 and he currently oversees all projects driven by the organization. ABIS was founded in 2001 and launched at INSEAD in 2002 with the support of the leading Business Schools in Europe in partnership with IBM, Microsoft, Johnson&Johnson, Unilever, and Shell. Mr. Michael Spanos is a corporate executive with extensive hands-on entrepreneurial experience in sustainability, corporate responsibility, management consulting, investments and business information with exceptional communication and networking skills and a demonstrable track record of delivering sustainability and business development solutions. Michael is an accomplished project manager, accustomed in working in international and multi-cultural environments, with solid analytical and quantitative skills and strong synthesis and strategic thinking ability. His is an expert in representing initiatives in high-profile settings and venues with outstanding stakeholder engagement skills and the ability to build meaningful and long lasting relationships with clients and partners. Michael is the founder and Managing Partner of Global Sustain where for the past eight years he provides leadership in sustainability strategy issues, CR measurement and reporting, supporting CR activities, assisting companies in improving sustainability performance and recognition through metrics/indices, awards and initiatives, serving as the critical link for the formation of external partnerships with NGOs/foundations, think tanks, institutions, governments, and other businesses to accomplish sustainability objectives. He is also engaged in organising sustainability conferences and training events and offering practical guidance to companies on the implementation of responsible investment practices. He has presented in international events and produced international publications on responsible investments and sustainable leadership. 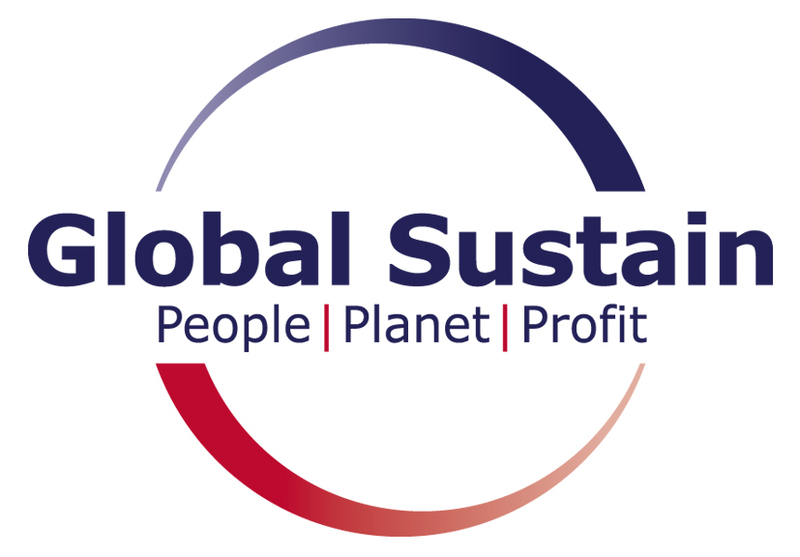 Michael also collaborates with sustainability driven international organisations such as GRI, UN Global Compact (he is a member of the secretariat of the Global Compact Network in Greece), European Commission & Parliament and CSRwire. In the past he has held senior positions in a venture capital firm and a closed-end fund engaging in business plans for private investments, company feasibility and valuation, business training and project management. For five years, Michael also worked for ICAP Group, the largest business information and consulting firm in South-East Europe, as Senior Manager in risk management projects. Michael holds an MBA and a diploma in Production Engineering and Management and speaks English, French and Greek. Mr. Dimitris Apostolidis graduated from University of Dundee with a BEng in Manufacturing Engineering and Management in 1998, and in 1999 he obtained an MBA with specialisation in Finance. Assurance / review of adherence to AA1000APS, ISO 26000 (2010), the United Nations Global Compact and its Communication On Progress. Ms. Carla Neefs is a Senior Manager in the EY Dutch Cleantech and Sustainability practice and has 20 years of experience in a broad range of sustainability issues. Carla joined EY in 2006. She holds a Master degree in Social and Economic development of developing countries at Wageningen University, 1991. Prior to EY, she has also held positions at Twijnstra Gudd (2002), at Schouten & Nelissen (2003), at EPEA, certified Cradle to Cradle consultant (2008) and Natural Step (2012). Carla is experienced in leading several sustainability strategy and implementation projects for Dutch based companies and midcap multinationals in several industries and leading several projects to support companies in the development of their annual sustainability report. Carla is also actively engaged in the development of Integrated Reporting. She is a member of the EY global working group on Integrated Reporting and is participating in the project team of EY Netherlands Integrated Report 2013. She is project leader of a GAP analysis on integrated reporting for an international financial institution, including support of decision making in the Board of Directors. Moreover, she is engaged in the development of the EY global methodology on Conflict Minerals and engaged in supplier engagement program of an SEC listed client. For the Dutch department of Economic Affairs Carla was part of a research team that investigated the implementation of the UN Guiding principles on business and human rights by Dutch stock listed companies. She was co-author of the research publication ‘Take a Closer Look’ June 2012. For several clients Carla performed reviews on policies and systems on the application of the UN Guiding principles on business and human rights. As an Innovation strategy expert, Carla was project manager of two sustainable innovation start-ups at a chemicals multinational. She was also a project initiator and innovation coach at a Dutch institute in the polymer sector. Ms. Viki Topalidou is a Partner at Mourgelas & Associates and a member of the firm since 1994. Viki specializes mainly in Corporate & Commercial Law, M&A, Energy, Advertising & Communication and Technology Projects and has acquired a reputable experience in complex international Public procurement and M&A projects as well as in international contracts. She regularly advises and supports clients in the negotiation, drafting and conclusion of their commercial and corporate agreements and on their business structure; her work includes contractual work and advice for the construction of two power plants in Turkey (of 800MW and 890 MW respectively), disputes resolution for three power plants in Greece (of 800MW and 430MW respectively) and a power plant in Romania (of 800MW), the bidding procedures for the construction of a power plant in Greece as well as drafting and negotiations for the construction of photovoltaic parks; she is attorney of the defendant in an ICC Arbitration between a leading Greek energy company and a foreign supplier in relation to the construction of a power plant; she has recently leaded the Legal Due Diligence and the respective acquisition of a group of companies of IT Security and Digital Risk Management and solutions and the Legal Due Diligence of an Engineering & Construction company; she has completed the restructuring of a company designing and producing 3D objects and the liquidation of a company of IT Solutions as well as of a group of companies with main operations in Renewable Energy Sources; she has advised a major Greek company in the Food & Beverage sector regarding the disputes raised with its suppliers; she has conducted the negotiations and drafting of the agreements for the transfer of a digital platform for the promotion and sale of e-books and e-learning content as well as for the co-operation of an e-learning company with the subsidiary of a major TV channel. Viki is representing Mourgelas & Associates as a member of the Electricity Committee of IENE (Institute of Energy of South East Europe); she is featured by Who’s Who Legal as a Public Procurement Lawyer for Greece. Viki is a member of the Athens Bar Association since 1995. She acquired her law degree from the Law School of the Aristotle University of Thessaloniki (LL.B.) and her MBA from the ALBA Graduate Business School (2002). She is fluent in English and Greek (native) and also interacts in Portuguese and French. Mrs. Sharon Jackson, Founder and Director of ESA has 13 years teaching and research expertise in sustainable business. Her specific area of academic research, since 2007, had been how people’s interpretation and sense-making decisions impact on sustainability initiatives. She has extensive experience in action research and co-operative enquiry. She has designed and delivered experiential learning programmes and set up sustainable business collaborative networks around the world including Australia, China and Europe. Sharon holds research and teaching posts at Cranfield School of Management, UK, Cambridge University and Athens University of Economics and Business, Athens. She is a visiting Fellow at University of Cumbria- Institute for Leadership and Sustainability, UK. Mrs. Μaria Alexiou, Corporate Social Responsibility Senior Manager, TITAN Group; Chair of the Board of the Hellenic Network for CSR and the Global Compact Network in Greece; member of the Hellenic and American Chamber CSR Committee in Greece. Graduated from the Law Department of the Kapodistrian University of Athens with a masters degree in International and European Law, specialized for Human Rights and Civil Liberties from the University of Leicester, U.K. Served as a Corporate Relations and Social Responsibility Manager in FANCO S.A. SPORTSWEAR MANUFACTURER (2000 – 2002), Training Director (1998 – 2000), Human Resources Development and European Programs Manager (1996 – 1998). Moreover, she served in the HELLENIC PRODUCTIVITY CENTER as Manager of Bilateral and International Affairs (1993 – 1995), Manager of Innovative and Transnational Cooperation Programs of the Institute of Technological Applications of the Center (1991 – 1993). As expert, she has worked for different organizations including among else the Greek Ministry of Labor, the Hellenic Organization of Manpower, the Department of Research and Technology of the Greek Ministry of Development, the European Foundation for Improving of Working and Living Condition, and other. Dr. Ioannis Pappas has a Diploma in Mechanical and Aeronautical Engineering, a PhD in Mechanical Engineering and a Post-Doc in Applied Mechanics in Energy Applications. He is a Senior Consultant in Carbon Finance and Energy Markets, with experience since 2001, Coordinator / Manager for more than 20 National & EU Research Projects and has been a Research Fellow in Joint Research Centre of the European Commission. He was a Special Advisor on Energy and Carbon Finance for Greek Government, the Principal Administrator of Greek GHG Registry, Greek Government, the Nominated Greek Representative as Expert for ITL Technical Issues, UNFCCC and the Greek Administrator of International Transaction Log, UNFCCC. He was also a Special Advisor on Emission Trading & EU Legislation TAIEX-EC, DG Enlargement, and a Senior Advisor for EC on Climate Change Adaptation in Middle East & North Africa and he has certified as European Energy Manager. He is a Co-Founder and CEO of GREEN EVOLUTION, a unique Advising Company in Environment, Energy & Carbon Finance in Greece, while he has been an active participant member of various international working groups (UNFCCC, CITL, ITL, CEN, TAIEX). Mr. Nikolaos Sifakis is a Management Systems’ Lead Auditor of TÜV Austria Hellas in Greece, at the position of Supervisor of HSE and Sustainability Department. TÜV Austria Hellas holds one of the leading positions in the Greek Market at the sector of Management Systems Certification and Inspections- Certification of Material, Products, Machinery and Equipment, Building and Industrial Installations. Manolis is a Chemical Engineer with an MBA degree. He has started his career as a Management Systems consultant in 1997 and he is involved in Management Systems’ auditing in the last six years including among others ISO 9001, ISO 14001, OHSAS 18001, ISO 50001, EMAS and EU-ETS, being also a certified trainer for all these subjects. 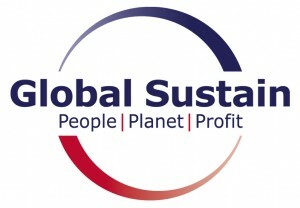 Furthermore, he is involved in the verification of sustainability reports (e.g. Level Check, Assurance audit activities), according to the GRI-G3.1 framework and the UN Global Compact. Mr. Panagiotis Andrianopoulos is an honors graduate of the School of Mechanical Engineering, National Technical University of Athens and graduated first from the Industrial Engineering option. In Planning he works as a consultant. He has extensive experience and expertise in the field of sustainability and carbon footprint and has conducted scientific research on the field. Mr. Andrianopoulos has participated as trainer and consultant in many respective projects and is the representative of the Green Logistics Consultants Group in Greece. As a consultant he has worked with numerous public and private companies such as Unilever, Frigoglass, Vivartia, Barilla, Hellenic Post, SEV, Lavipharm, Speedex, Notos, G4S, ION. As a member of project teams he has offered consulting services in the reorganization and restructuring of companies, operations optimization, implementation of Balanced Scorecard system, performance monitoring indicators (KPI’s), activity based costing, work sampling method etc.